Day two of his State visit to the People’s Republic of China also centred on a visit to Huawei Telecom, StarTimes Group and the Bamboo and Rattan organisation. A determined President Paul Biya on Friday March 23, 2018 focused a greater part of his day on a tour to some strategic digital and local sectors in the economy of the People’s Republic of China which are some of the solutions that have contributed in alleviating poverty while ensuring environmental sustainability. As early as 11:00 a.m. President Paul Biya had already set out to commence activities marking the second day of his State visit to the People’s Republic of China. From the International Network for Bamboo and Rattan (INBAR) to the Huawei Telecom Campus in Beijing and the Star- Times Group, Paul Biya at each point expressed Cameroon’s willingness to continue collaboration with the sectors for more fruitful results. he Centre, which is an independent intergovernmental organisation established in 1997, is out to develop and promote innovative solutions to poverty and environmental sustainability using bamboo and rattan. During the visit, the President learned that bamboo and rattan are not only raw materials but also commodities with low and high market values depending on how they are transformed. Later, President Paul Biya and his delegation went to Huawei which is a leading global Information and Communications Technologies (ICT) solution provider. The Head of State was received by the President of Huawei Northern Africa, Peng Song, who took him on a tour of Huawei's facilities. On the occasion, Peng Song highlighted Cameroon's growing importance as a digital player. 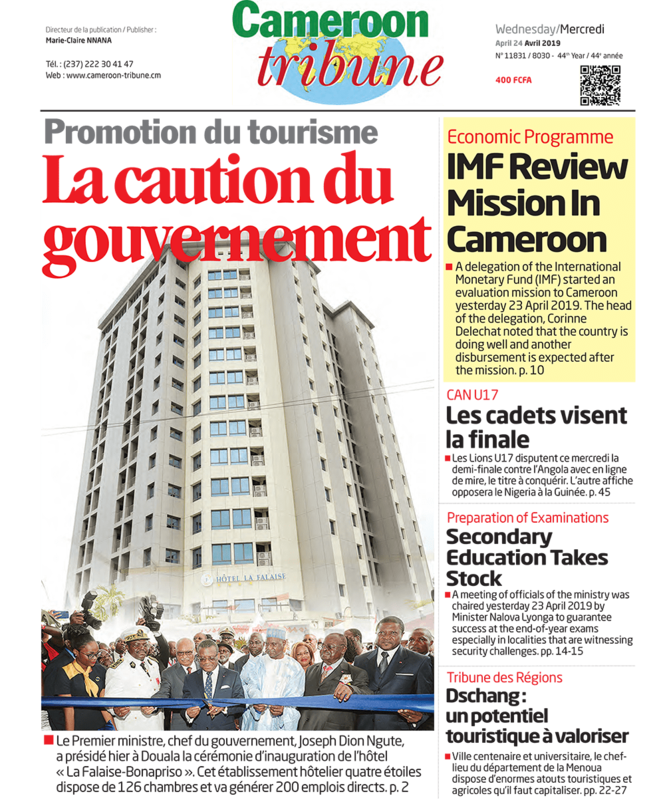 "An emerging and digital Cameroon 2035 is an incredibly important initiative, and Huawei is 100 per cent on board with the government's strategic goals," he said. Adding that "We will work hard to bring better connectivity and more digital opportunities to Cameroon's people and industries. Together, we will build out the country's digital infrastructure and lay the foundation for a flourishing digital economy." President Paul Biya on his part was proud to see Huawei and Cameroon working so fruitfully and productively together. 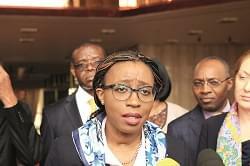 By visiting Huawei, “I hope to express Cameroon's willingness to continue this collaboration. 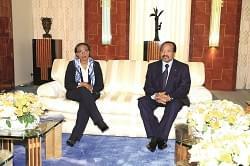 May we keep working closely and produce fantastic results”, Paul Biya noted. Huawei first came to Cameroon in 2005. President Paul Biya’s last stop for the day was at the StarTimes group where the Chief Executive Officer, Pang Xin and his staff had reserved a warm welcome for him. With a digital banner which reads welcome His Excellency President Paul Biya, staff of the group, alongside some young people brandished the flag of Cameroon and China as the presidential delegation was taken round the building, particularly to some of the production studios. Majority of the staff, who are foreigners sang special songs and danced in honour of Sino-Cameroon ties. At the end of each visit, the President of the Republic signed the golden book of the institution.